Gesta vs. Rodriguez is a 10-round super lightweight fight presented by Golden Boy y Paco Presents. The event is sponsored by Tecate,"THE OFFICIAL BEER OF BOXING." 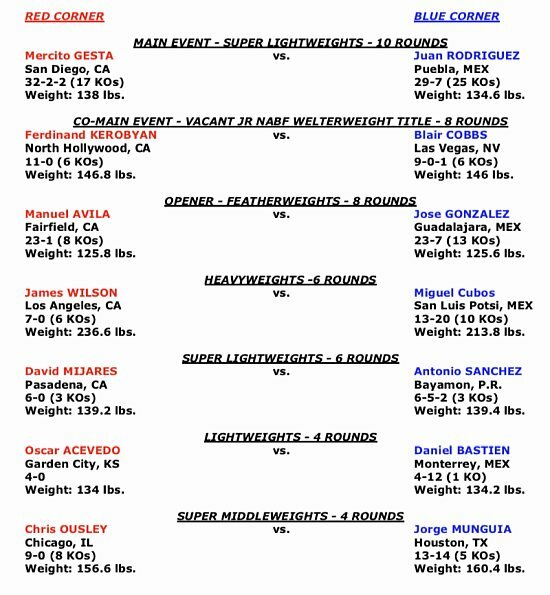 The fights will take place Thursday, March 21, 2019 at Avalon Hollywood. Doors for the event open at 4:00 p.m. PT, and the first fight begins at 4:30 p.m. PT. The RingTV.com stream will begin at 4:30 p.m. PT/7:30 p.m. ET.